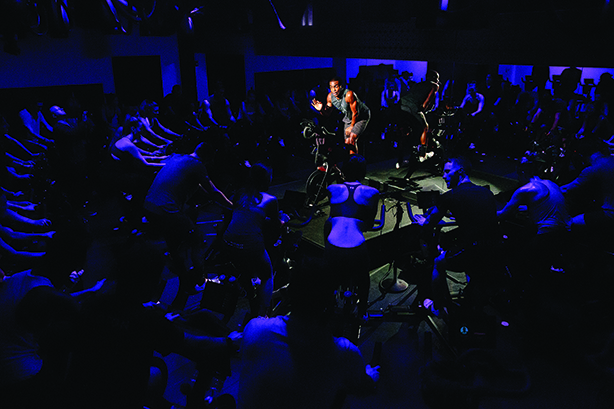 The indoor cycling craze brings people together around the globe, and it's Carolyn Tisch Blodgett's job to tell Peloton's story. 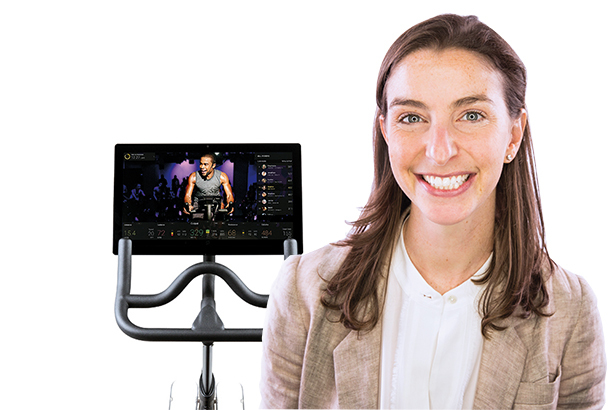 A few years ago, Carolyn Tisch Blodgett’s mother bought a Peloton, an indoor cycling bike that connects to the internet. "She loved it, and I didn’t understand what was so great about it," Blodgett says. Fast-forward to current day, Blodgett not only gets it, but it’s her job as Peloton’s SVP of brand marketing to make sure other people understand the bike’s appeal. No one can truly grasp Peloton or its "community" until they are part of it, she explains. Some media outlets, such as The New York Times, have even intimated Peloton members are part of a cult. "Cult’ has a negative connotation. It feels like you’re in or out and you don’t get it if you’re out," Blodgett notes. "That doesn’t feel like Peloton. What makes it so incredible is the sense of community and the way members support each other." Blodgett explains that when choosing live classes, she picks out the ones her friends have taken already. "That’s where community matters," she says. "People have met their best friends through it, and they all ride live together at 6 a.m. That keeps them motivated." Once someone purchases a Peloton, they often acquire the mindset that anyone who doesn’t own one is "crazy," and try to convince their friends to buy one. "Our members sell more bikes than we do," notes Blodgett. "They can speak authentically to how much they love it." Peloton launched in 2013 and was valued last year at $1.25 billion. Since Blodgett joined the company in early 2016, she has focused on creating awareness by telling the product story. Peloton raked in nearly $400 million in sales last year, up from about $170 million in 2016. Blodgett notes the company is "effectively profitable, but has chosen to invest back in the business. Now we have spent a lot on advertising and marketing, people have heard about us. It’s about bringing that brand story to life in a way we haven’t before." Blodgett was unable to share marketing investment, but notes the business is growing "extremely quickly" so it is "aggressively spending" on promotion to keep up with that growth. One example was Peloton appearing in the opening ceremony of the 2018 Winter Olympics as part of a partnership with NBC. "I thought of that as Peloton’s ‘coming out party,’" says Blodgett. At the Olympics, Peloton’s brand message was "Better is in us." The brand is continuing to tell that story throughout the year. The inspiration for the tagline came from Peloton’s closed Facebook community, where users state over and over again that the product has changed their lives, notes Blodgett. "On a daily basis, people posted they were having trouble with their toddler and Peloton gave them the patience to be able to deal with that, or they were going through a cancer treatment and Peloton is what kept them going," she explains. "It is the message that Peloton makes you the best version of yourself." Blodgett is currently focused on sharing that message specifically with new parents, and telling them how Peloton fits into their lives. "We know they are digital natives — they’re not using TV as much to consume their content and they spend a lot of time on social media researching," she says. Because of this, the brand is leaning heavily into digital and social to meet parents where they are and tell the Peloton story. "If you used to go to boutique fitness classes all the time, which our core target did, but now you have a new baby and have to get a babysitter or think about exercising before they wake up, your life all of a sudden got really complicated," she notes. "We want people to understand they can still have that boutique fitness experience, but you can now have it in the convenience of your own home." Because the Peloton bike has a hefty price tag of $1,995, Blodgett says part of her job is "doing the math for people" to show them that, in the long run, it’s cheaper than having a gym membership. "A boutique fitness class is $35-$40 per class," she explains. "If you and your partner are both doing that, you are going to make your money back in four to six months." Last fall, Peloton launched a financing program, giving consumers the ability to pay $97 per month for the bike with no money down and 0% APR. Peloton also has an iOS app that enables people to pay $12.99 per month for unlimited access to its live-streaming and on-demand classes. The brand isn’t worried about consumers opting for cheaper bikes and just using the app. Blodgett notes that, for people who are more price conscious, the app is great. However, they won’t get the full experience. "When the instructor calls out a cadence or resistance number, you want to have that exact same number," she explains. "And you want to see how you’re performing versus other people." Later this year, Peloton will start shipping its Tread product, which launched at CES in January. In the fall, the company will embark on a marketing campaign around the new treadmill product. "While trial is important for the bike, we think it will be more important for the treadmill," Blodgett says. "We want to get as many people as we can to try the product, because once they see how unique the treadmill is and the content and classes, that will sell itself." 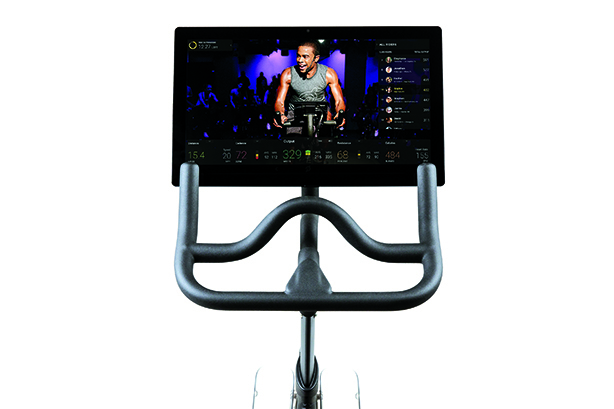 Peloton, which is currently only based in the U.S., has plans to expand into another country, but Blodgett could not comment further. The company works with ID-PR. When Blodgett’s Peloton first arrived at her home, her 3-year-old daughter was immediately interested, and began trying to climb her way to the seat. As a distraction tactic, she got her own mini-version of the bike for Hanukkah. "I got her a Fisher-Price knockoff Peloton bike for kids," she says. "It’s a stationary bike that uses an [exercise] app I download." While Blodgett takes 30-minute classes two to three times per week, her daughter is by her side the whole time doing her own "classes." "At first we thought it was a little joke, but now she is so into it," she says.